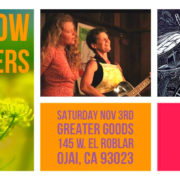 Jan Smith will be performing the closing concert of 2018 for her new record, ‘Yellow Flowers’, at Greater Goods in Ojai. Come one and all to this cozy space for an evening of live music. 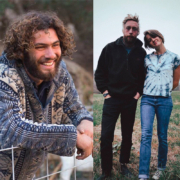 Dyado, currently based out of Asheville, NC, is a cousin duo touring down the west coast in a pickup truck, playing their debut album – DreamCountry, and camping and road trippin’ around. 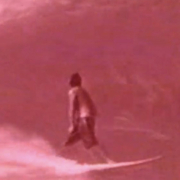 rare screening of “earth to meekus” by chris malloy. 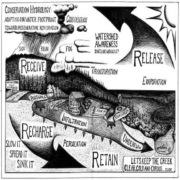 join Connor Jones of East End Eden for a curated viewing of community-based water harvesting success stories from around the world. 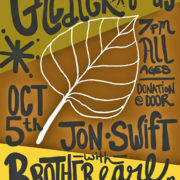 live music with jon swift & brother earl & the cousins. we are glad to finally have succeeded in pulling jon away from the thatcher observatory for a night, & thankful to brother earl & the cousins for helping us to achieve this! free your voice & the rest will likely follow. 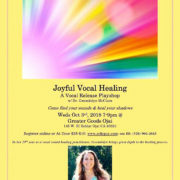 soul encourager & breath bringer dr. gwendolyn mcclure joins us for another round of vocal play, release, & healing. 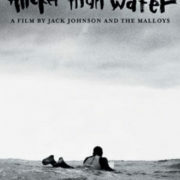 We kick off a month of thursday night films by the malloy brothers (the ojai/ventura ones) with a screening of the Y2K thriller, thicker than water, a film that played a major roll in rejuvenating surf culture after a long spell of fast paced trick flicks. 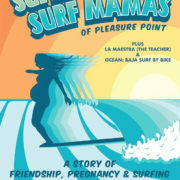 documentary of the 2017 lennon family concert at the historic santa monica bay women’s club featuring the lennon sisters, venice, the lennon bros., tom lennon, the chillz & many more! 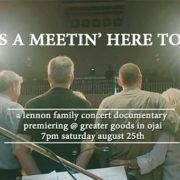 The Greater Goods family is thrilled to welcome this soulful group from Texas. 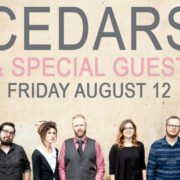 Cedars is more than a band – it is a collective of people who believe that beauty will change the world.